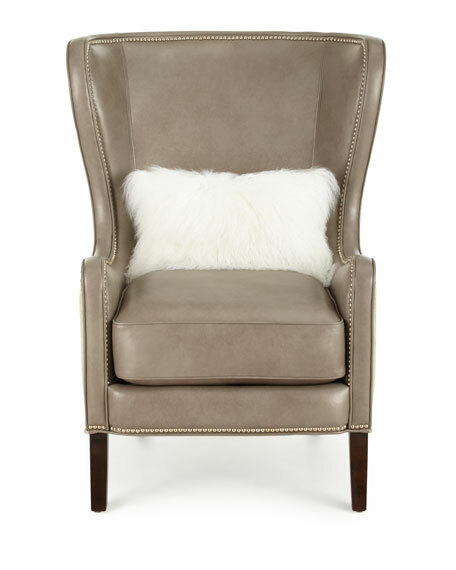 The classic wingback chair in quiet shades of supple leather. 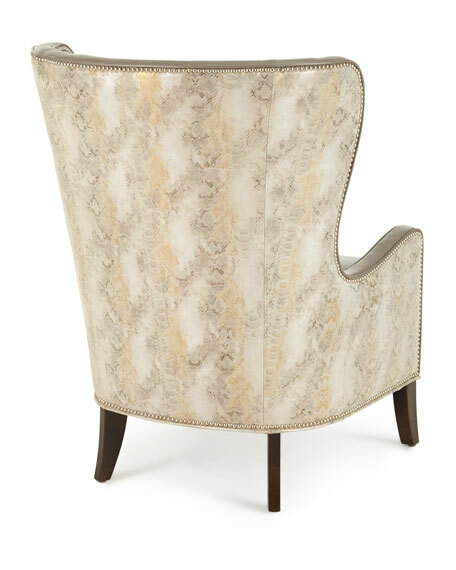 33"W x 37"D x 42"T; seat, 18"T.
In soft metallic gray and muted snake-print leathers with nailhead trim. Hardwood frame with fine mortise-and-tenon construction. 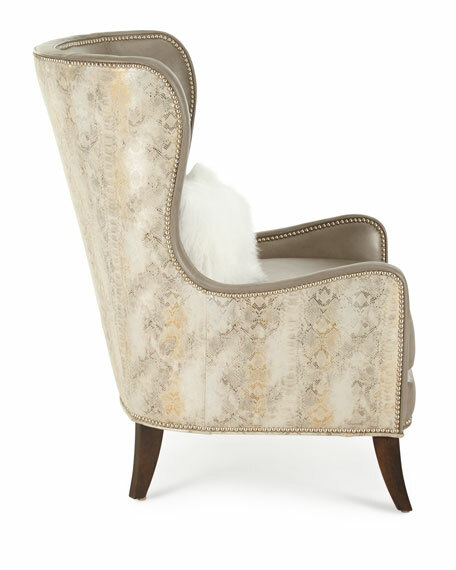 Comes with snow white dyed Tibetan lamb (China) and polyester accent pillow as shown. Weight, approximately 75 lbs. Boxed weight, approximately 85 lbs.